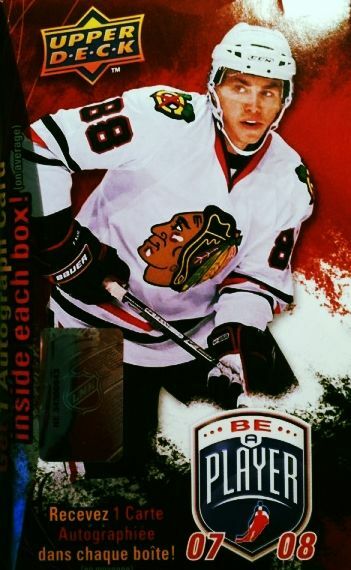 So this week we take a brief break from Panini products and go for a box of 07/08 Be a Player by Upper Deck. I've opened many Be a Player blasters on Retail Review. Some have treated me decently, while others have been completely laid an egg. Let's see which camp this blaster belongs in! It can't possibly be as bad as my last couple BAP blasters, can it? These blaster have got to be the fastest busts you can do with only two packs in them. But that's fine, the autograph is practically the only thing anyone is looking for in these. The checklist for the Be a Player autographs is very deep and inclusive. 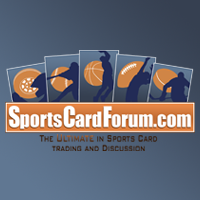 There is a wide range of players you can pull out of blaster. Most of the players included will not generate too much excitement. 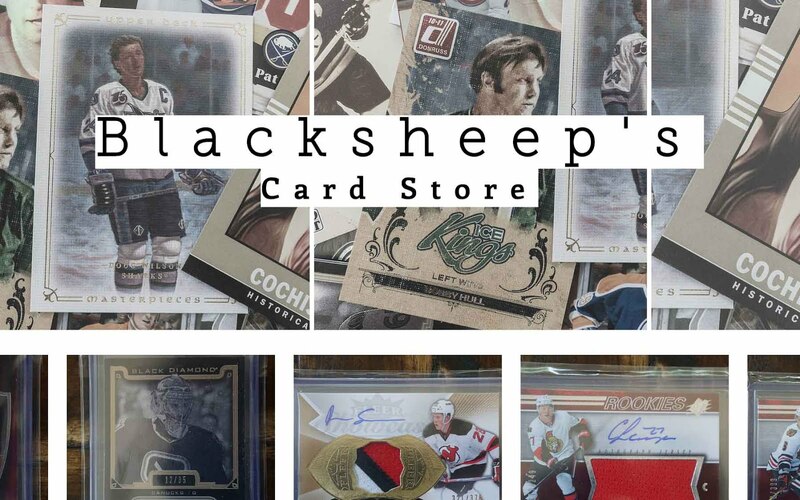 I wonder how long it will be until I pull something spectacular out of this product, spectacular being a Gretzky, Crosby, or other huge auto. Is it even possible? I have to admit I haven't really done my homework and checked to see who is available in these things... but there has to be something good! Well, I guess one of these days I'll get a nice surprise I'll find out, I hope. As usual, to ramp up the excitement to unparalleled levels I decided to find the autograph and save it for the big reveal at the end. Looking through the rest of the base cards, there was really nothing of note. 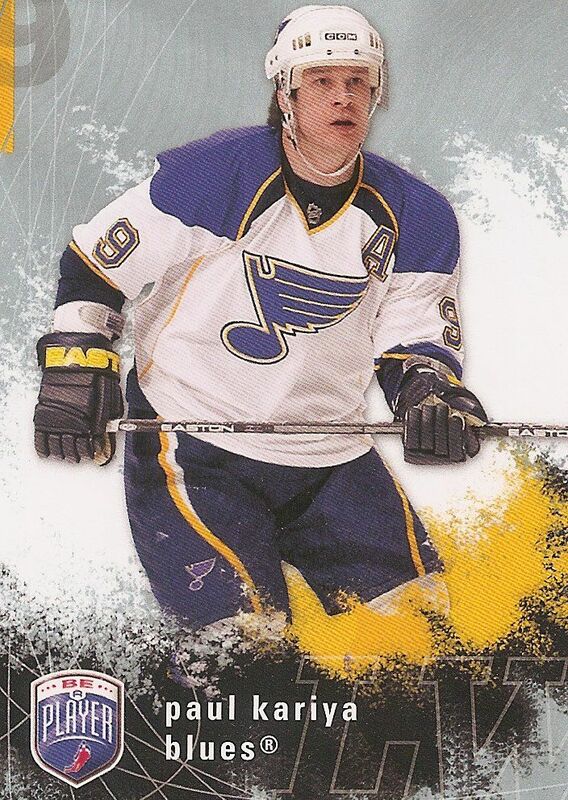 Three bigger names in my two packs were Phil Kessel, Derek Roy, and (maybe) Alex Tanguay. And even those three were not too big. No matter though, with no other inserts to be found in my break, the only thing to really check out was the autograph. It's in my top three, so let's just get straight to it! Yep, you guessed it! 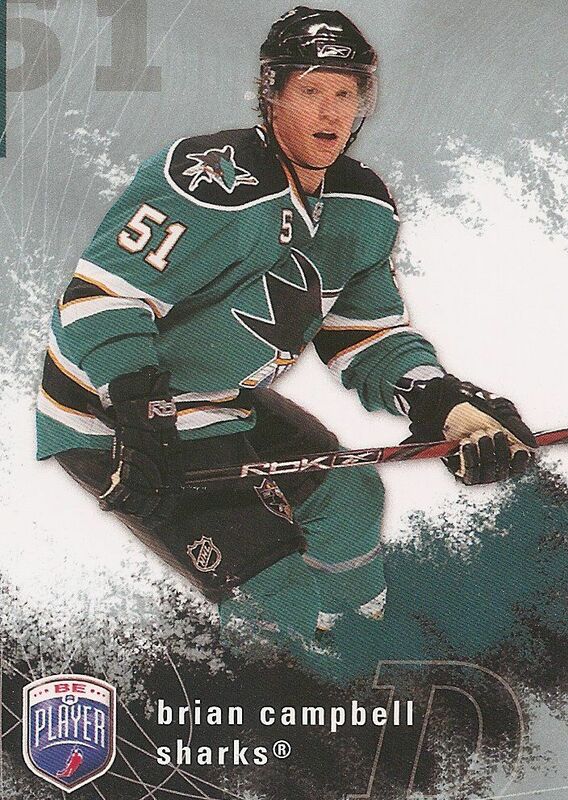 The homer in me chose to include Campbell here solely for the fact that he's wearing teal. No other reason than that. Congrats Brian. 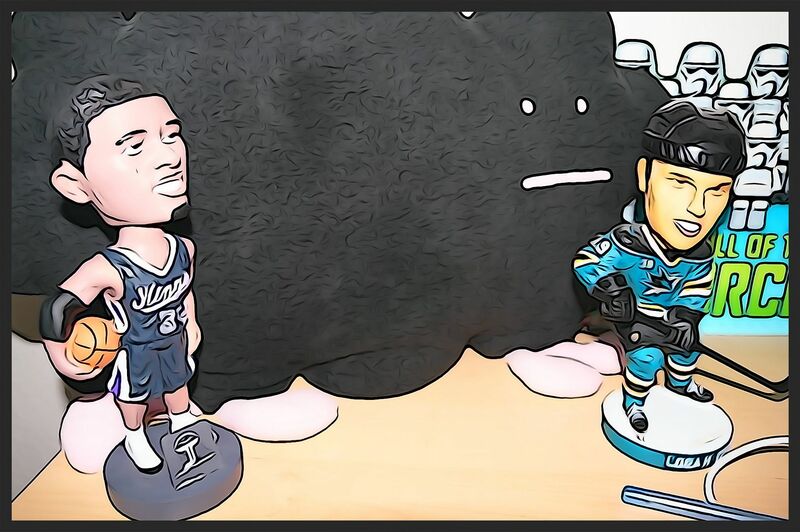 I picked Kariya for this spot because he was a player that I actually watched and collected a little before I took time off from collecting cards. It was kind of funny to see him still playing after all the years had passed when I started up again. And of course there were also players like Lidstrom and Jagr too. It's always a kick to pull these guys out of packs! Brings me back to when I pulled them out of packs as a teen. 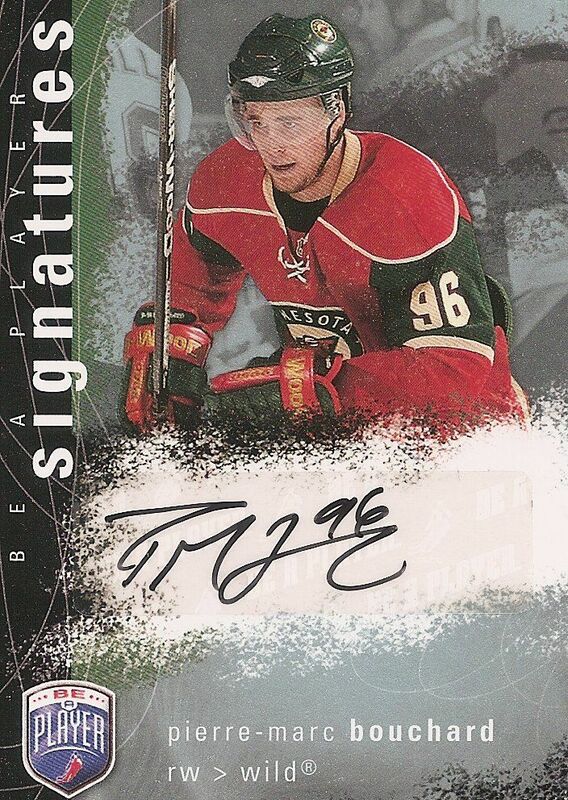 Another Minnesota Wild auto! Well, this time I know the player and have seen him play at least. I'm not blown away by this pull (at all), but he's better than the ones I had gotten before. I recently found someone who collects Wild players so maybe this will be some nice trade bait! Well, this wasn't a stellar break by any stretch of the imagination. The only reason I was even remotely happy with the Bouchard auto was because the other ones were even worse! It's still a fun break to bust Be a Player though... and this one be the last you see of it! I really want to pull something of note from one of these blasters! Just keep watching Retail Review and maybe you'll witness history!!! Let me know what you thought of my 07/08 Be a Player blaster down in the comments below. What have you gotten out of these blasters? I'd love to know!